It’s time to get busy in the garden as spring arrives. Seed sowing can begin this month, make sure the trays are clean and for the best results, use a high quality peat based compost and add 25 – 50% vermiculite. When using an electric propagator, set the temperature at 18 – 20 degrees centigrade. When they are big enough to handle, prick off the seedlings into a high quality peat potting compost. We recommend Levington M2 Pot and Bedding and keep it in stock. Most of the ground should have been dug, but if digging is required, dig with a trench. Prepare the ground for sowing or planting, when it is ‘friable’ (not too wet or too dry). Then apply a general fertiliser, such as growmore – at 4oz per square yard and fork in. For the brassicas, apply ground limestone at the same rate. Plant out onion sets and shallots, sow broad beans, or plant those that have been started off in the greenhouse. Early potatoes can be planted from the middle of the month. Earth up as soon as they appear and watch out for frost!! Early carrots, parsnips, lettuce, radish and spinach can be sown. Sow early peas only when the soil is warm enough; or they will rot. Remember to protect them from mice or birds. Tie up summer fruiting raspberries. Cut back to ground level the later fruiting Autumn varieties. Give all the fruit trees a dressing of general purpose fertiliser. Do not dig, or fork around the trees or bushes or it will damage surface roots. Finish pruning before the buds start to break. There’s still time to plant the deciduous trees, shrubs and hedging. We supply a large range of fruit trees and ornamental trees, hedging plants and over 150 varieties of shrubs. Buy 3 shrubs for £12 or £4.95 each in our Hardy Plant Centre. March is a good time to plant conifers and we stock our largest range at this time of year. Remember to keep watering conifers through dry spells in Spring and Summer. Now is the best time to divide or plant herbaceous perennials that will last for years to come. We’ve expanded our range of home grown perennial garden plants to over 200 varieties. Buy 4 perennials for £10 or £2.95 each in the Hardy Plants Center. 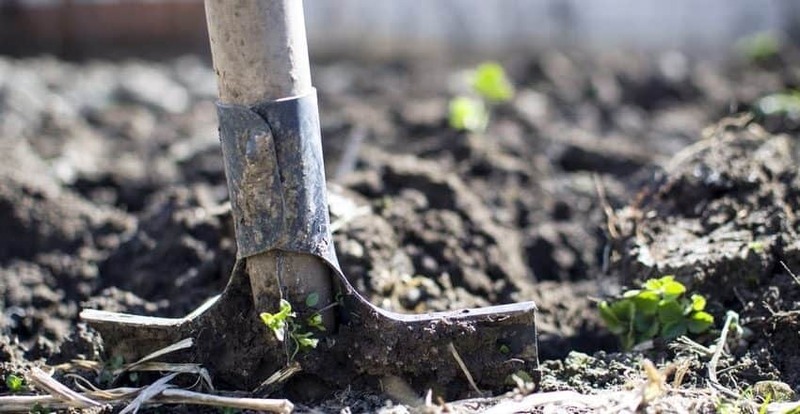 Perennial plants are very hungry garden plants, so incorporate well rotted manure or compost in the planting holes, plus some general purpose fertiliser. For the best results, support the taller perennials with sticks to prevent ‘flopping’ heads. Spring bedding plants will need regular weeding and check winter pansies for greenfly, which if left, can kill the plants. When present, spray the fly with a bug gun! The first cut of the season for the lawn should not be too close, leave the grass longer and then lower the blades gradually through the season. March is the time to apply the spring feed and weed for the lawn. But make sure the weather conditions are correct, as to avoid damage. If moss is a problem, treat the lawn and rake out the dead moss – to give the spring grass a chance to establish. Clean out the garden pond and restock if necessary. Check the rockery and add plants to any gaps. We sell over 100 varieties of alpine and dwarf bulbs ideal for rockeries. Finally, gardening is best done little and often, best for the garden and best for your back! 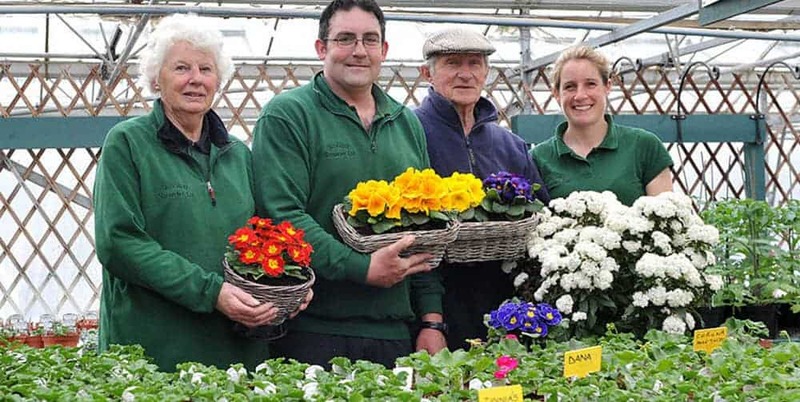 Happy gardening from all the team at Woolpit Nurseries.